A solo practice, Thomas M. Bell P.A. focuses on representing clients with complex criminal cases. 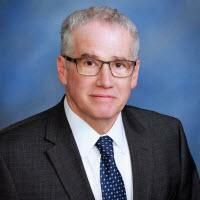 All cases are handled personally by Mr. Bell, an experienced counselor and litigator. His extensive trial experience includes capital defense, homicide and serious federal and state charges. Since 1986, he as been a strong advocate for people in Jacksonville and throughout Northeast Florida who are facing serious criminal charges. When you work with him, you can expect - Personal representation, aggressive advocacy, identification and development of critical issues and reasonable rates.